The Wizards of the White Council have accused the Warden Morgan of treason, and Morgan, fearing the inevitable death sentence, has gone on the lam. Knowing he needs help of a savvy, well-connected wizard, he contacts Harry Dresden. If Harry is flattered, he doesn't have time to show it: Before he knows it, he and Morgan are moving very, very quickly to stay alive. 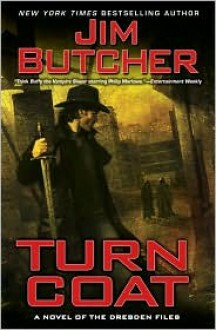 The 11th installment of the Dresden Files is one of the best.